Moisture meter ambient pressure and humidity probe for walls and wood with contact temperature probe (includes holster). 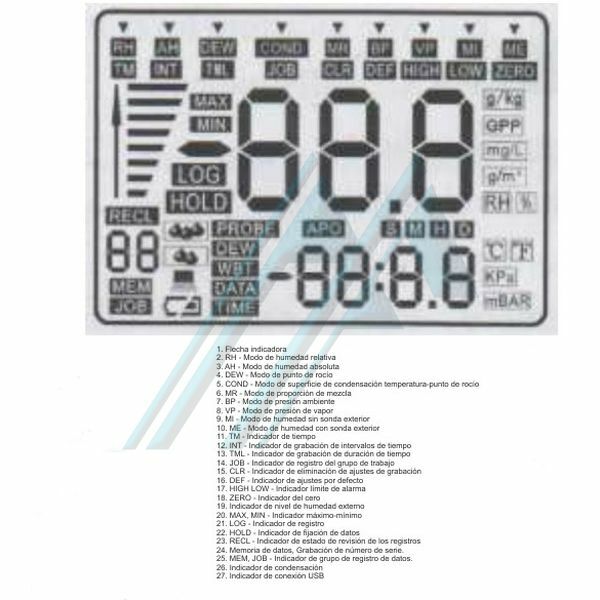 Measures temperature, humidity, atmospheric pressure, humidity or wood walls, dewpoint, steam pressure. 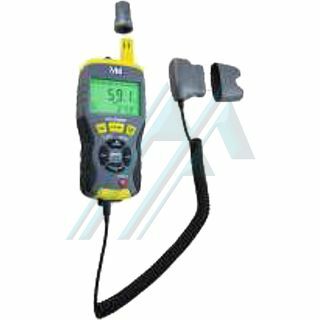 The moisture meter and ambient pressure KC-326B incorporates several low-power sensors in a compact design. Measured in real time the ambient temperature, humidity, atmospheric pressure, moisture content of a piece of wood and can quickly calculate the dewpoint temperature, absolute humidity (g / kg and grains / lb), wet bulb temperature and the vapor pressure of the method of calculation of the dew-surface temperature, 20 groups of data retention in memory and 8000 groups of automatic data recording. 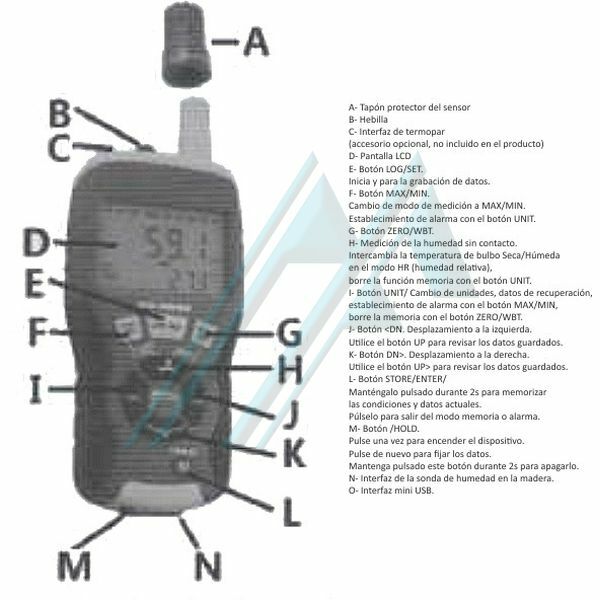 The device has a large LCD screen with two intelligent management. It is ideal for monitoring food, medical supplies, warehouse instrument.